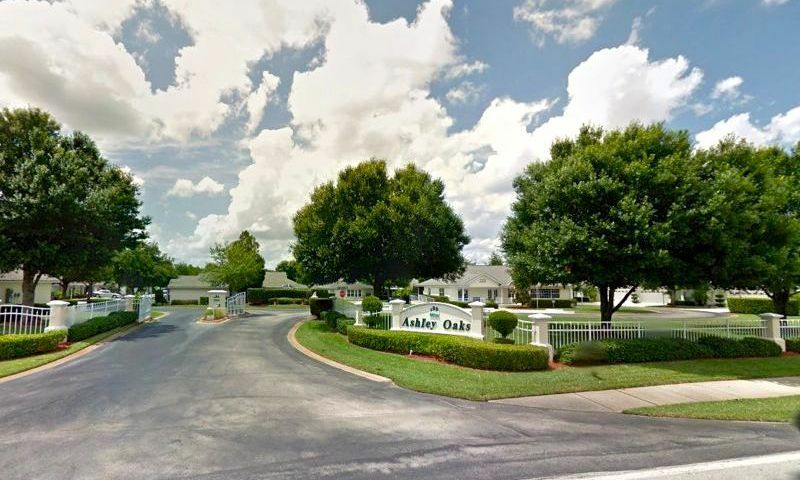 Ashley Oaks is a gated 55+ community located in Sebring, Florida. Active adults looking for a small neighborhood setting with charming amenities, low-maintenance villas, and plenty of social activities will love Ashley Oaks. Homeowners can find affordable attached villas on a resale-only basis in Ashley Oaks as well as have easy access to shopping, dining, and attractions within Highlands County. The clubhouse is the central hub of social activity in Ashley Oaks. Residents can stay in shape by utilizing the exercise equipment. They can play games or hang out with neighbors in the activity room or prepare a snack for a community party in the catering kitchen. Homeowners can enjoy the enclosed heated outdoor pool all year long. They can relax with a good book on the spacious patio or enjoy scenic strolls in the neighborhood along the walking and biking trails. Residents seeking more activity can play a few games at the shuffleboard courts. Ashley Oaks consists of 44 attached homes available on a resale-only basis. This 55+ community offers homebuyers beautiful villas that range approximately from 1,299 to 1,875 square feet of living space. They have two or three bedrooms, two bathrooms, and attached two-car garages. Homes feature crown molding, vaulted ceilings, breakfast bars, screened porches and updated cabinets. Ashley Oaks promotes a carefree and social atmosphere for all residents. They can play shuffleboard or attend community events like bunco nights, happy hours, movie nights, ice cream socials, Super Bowl parties, and monthly potluck dinners. Residents have time to enjoy an active lifestyle in Ashley Oaks because the homeowners’ association (HOA) fee takes care of the hassles of exterior-home maintenance. The HOA fee covers lawn care, shrub replacement, central irrigation, and clubhouse maintenance. Ashley Oaks is located in beautiful Sebring, Florida. Residents are close to U.S. Highway 27 and Main Street making getting around town a breeze. There are plenty of shopping options like Lakeshore Mall, Bed Bath & Beyond, and Lowe’s Home Improvement. Other attractions nearby include Lake Jackson, Sebring Municipal Golf Course, Golf Hammock, and Highlands Hammock State Park. Avon Park and Lake Placid can be reached in less than 30 minutes. Residents can also travel 75 miles to visit the attractions in Orlando. Sebring Regional Airport is 17 minutes away for when traveling farther is necessary. Ashley Oaks is a charming active adult community offering affordable low-maintenance homes to 55+ homebuyers in Highlands County, Florida. There are plenty of activities available in Ashley Oaks. Here is a sample of some of the clubs, activities and classes offered here. Ashley Oaks offers homebuyers beautiful attached villas that range from approximately 1,299 to 1,875 square feet of living space. They have two or three bedrooms, two bathrooms, and attached two-car garages. Resale homes feature crown molding, vaulted ceilings, breakfast bar, screened porch and updated cabinets. Please Note: Floor plans are not available at this time. 55places.com is not affiliated with the developer(s) or homeowners association of Ashley Oaks. The information you submit is distributed to a 55places.com Partner Agent, who is a licensed real estate agent. The information regarding Ashley Oaks has not been verified or approved by the developer or homeowners association. Please verify all information prior to purchasing. 55places.com is not responsible for any errors regarding the information displayed on this website.